When I was school hunting last year, I came by the term Multiple Intelligences (MI). It was an approach some schools adopt in their teaching. The theory of MI was developed in 1983 by Dr Howard Gardner. He suggested that IQ testing is flawed because it's based towards linguistic and logical intelligences. He proposed that each of us possesses 8 form of intelligences, which represents the broad range of potential not just in children, but adults too. 1. Musical - Appreciates music and musical patterns and excels in composing a performing music and rhythmic movements. Usually possess a perfect pitch too. 2. Kinesthetic - Excels in physical activities and has good reflexes and physical coordination. They enjoy sports, dancing and hands on tasks. 3. Naturalistic - Displays keen interest in nature, plants and animals, and is highly observant. 4. Logical Mathematical - Solves problems using logic and performs well with numbers and patterns. They get a thrill of how things work and how things are put together. 5. Visual - Thinks in pictures, visualize objects easily and often enjoys drawing or art. They have high sensitivity to colour, balance and composition. 6. Linguistic - Displays a flair for languages and communication, excels in reading, writing and speaking in more than one languages. They reason well and are generally good speakers. 7. Intrapersonal - Good at being aware of their own emotions, feelings and thoughts. They enjoy self-reflection. They learn best independently. 8. Interpersonal - Strong in people skills, communicate and works well with others. They demonstrate the ability to interact and manage people. So we say, "It's not how smart you are, it's how you are smart." I did a quiz for both Js at actualyse.com. A quick online quiz you can take to discover the intelligences of you and your kids. 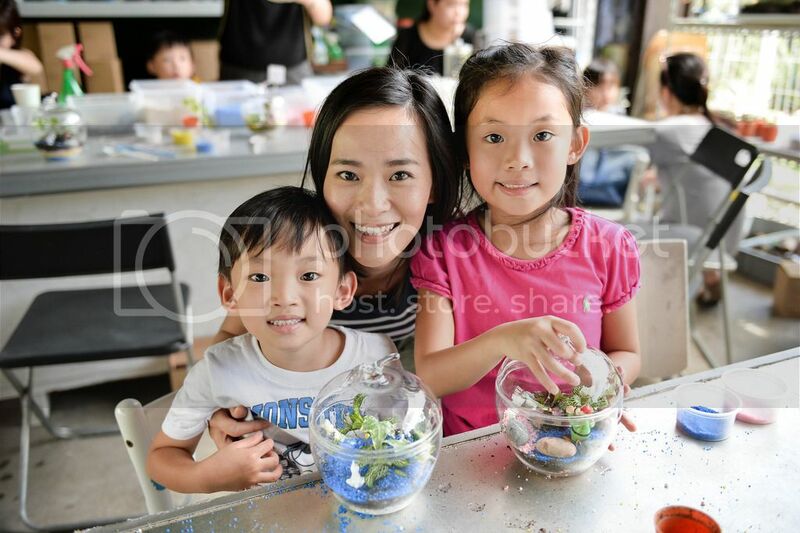 It's also an online platform where parents can get resources for life-long learning. Lots of good reads and updates within. I found out that Jazz is dominant in the Interpersonal, Logical and the Visual intelligences, while Jare is dominant in Intrapersonal, Naturalistic and Kinesthetic. Just how different my kids are! From here, it somehow allowed me to nurture them in the right direction of learning and interests, maximising their potential. Just last week, we brought learning out of classroom with actualyse. We tapped on the naturalistic intelligence to work on a terrarium at the plant story, which is also one of Jare's dominant intelligences. Throughout the building of his terrarium, I could identify his special enthusiasm and interest for the plant he was growing. It's true when we say learning is not confined to classrooms. I am most glad when the different interests and senses of my child is activated. It gives us both a good discernment and expectations from the various forms of activities. At the workshop, we learned about photosynthesis, why some plants are good staying indoor, in a glass! As well the the process to building a terrarium - the drainage all the way to the decorations on the top. Never too young to learn. 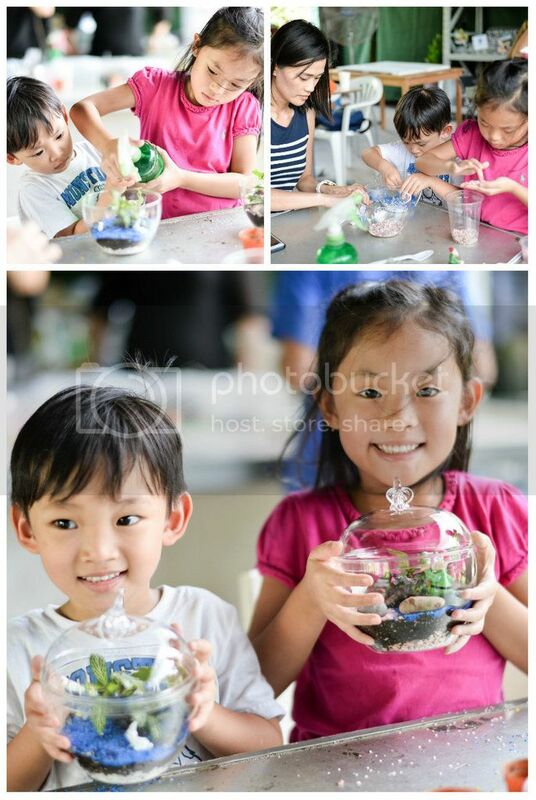 I had a great time watching Js build their terrariums and they enjoyed this part of their learning that day. For the grown up in me, I didn't think green fingers were a part of me, till I realised it can be fun growing one! Have you discovered the dominant intelligences in your child? Take the quiz if you've not. While learning and discovery is a daily affair, I'm pretty sure the results might differ as they grow along the years. The different exposure they continue to immerse in, might tweak their interests. It is, however a good hint for parents to discover their learning style and strengthen those developed areas. actualyse.com is a starting point to support learning for all intelligences and learning styles, needs, and all ages. They bring together education resources and information, housed within a single platform. A digital community where parents, students and adult learners can take the first step to realising their full potential. Disclaimer: Media invite. Photos credit to actualyse.com. All opinions are solely ours.